In 10 years’ time, 70,000 people could be part of the UK’s wind, wave and tidal power sectors, making a small, but nevertheless important contribution to the country’s workforce. That is the hope of the UK’s renewable energy industry, as it today issues a fresh call for the government to commit to a post-2020 target for UK green energy, to ensure the sector continues to expand at a rapid pace. 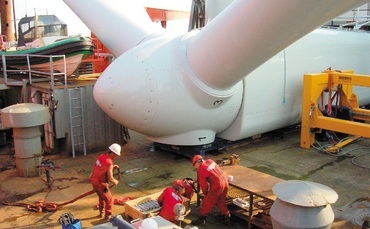 New figures from trade body RenewableUK (RUK) today show the number of people working directly in the wind, wave and tidal sectors now exceeds 18,000, having grown 74 per cent since 2010. To put that in context, these jobs accounted for around 10 per cent of the 76,000 direct jobs in the energy sector in 2012. The three sectors employ more than the forestry industry, commercial fishing, and three-times more than the UK coal sector. But RenewableUK also warns that the 70,000 employment target can only be achieved if the government provides greater certainty to manufacturers. To that end, it has unveiled a manifesto that aims to address skills shortages in the wind, wave and tidal sectors. The industry body is concerned that these skills shortages are not only pushing up costs, but forcing manufacturers to look overseas for their employees. More than one-third of employers surveyed by RUK said they had trouble filling vacancies over the previous 12 months, up from 26 per cent in 2010. Both Dong Energy and RWE said they face a challenge filling job vacancies with local UK workers, and often have to hire specialist engineers from Denmark or the Netherlands. According to RUK, around eight per cent of all jobs in the sector were considered hard-to-fill last year. The centrepiece of the manifesto is a call for a 2030 renewable energy target that clearly sets out the UK’s deployment ambitions post-2020. However, the UK government has already rejected a renewables target, and is calling for the European Union’s 2030 climate and energy package to include only an ambitious CO2 target that gives member states flexibility to meet their green goals in any way they see fit. But RenewableUK believes an EU-wide renewables target would provide a major boost to the UK economy, as it would drive more investment in the offshore wind sector, where the UK is a leader. “It would be a huge blow if we don’t have a target for renewables that member states can agree on,” says Maf Smith, deputy chief executive of RUK. He argues that given the UK’s leading position in offshore wind, it could benefit significantly from a technology-specific target for all member states. The manifesto also calls for the government and businesses to provide incentives for students to study courses such as mechanical and electrical engineering, such as reduced tuition fees, or apprenticeship opportunities. The manifesto goes on to urge the government to draw up a strategy that anticipates future skills demands rather than scrambling to train up people when it’s too late. “Companies look to government to provide strong leadership on energy policy, and on the skills agenda,” it says, arguing that as more than 80 per cent of employers in the industry are SMEs, they are “not in a position to consider long-term, strategic investment in skills for the benefit of the wider industry”. The industry also wants the government to relax visa restrictions to help import labour for those times it can’t fill the roles with UK workers. 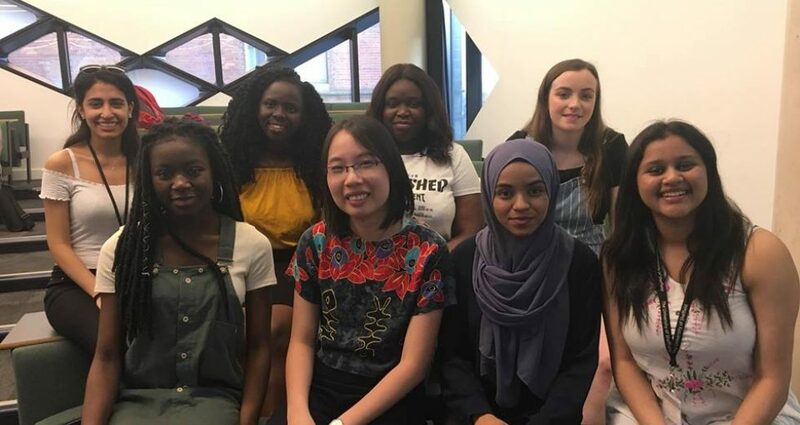 Other recommendations include a consistent approach to UK skills funding and more effort put into attracting women into STEM subjects and jobs. The research found that one-fifth of those working in the UK wind and marine energy sector are women, which is better than the energy sector average. But Smith admits that the biggest challenge to boosting employment is to ensure deployment levels continue to rise. With offshore wind power still the poster-boy of the UK’s renewables revolution, and wave and tidal power on track to surge forward in the 2020s, there will be some employment boom. The question is: HOW BIG WILL IT BE?